8 Days Kenya wildlife safari, Samburu, Lake Nakuru, Maasai Mara and Amboseli budget camping safari. 6 days Samburu, Lake Nakuru, Masai Mara budget camping safari. 5 Days Lake Baringo, Bogoria, Lake Nakuru, Maasai Mara budget camping safari. 7 Days Samburu, Lakes Baringo, Bogoria, Nakuru and Masai Mara budget camping safari. 9 Days Samburu, Lake Nakuru, Lake Baringo, Bogoria, Masai Mara, Amboseli budget camping safari. 3 DAYS SAMBURU NATIONAL RESERVE BUDGET CAMPING SAFARI. 5 DAYS LAKE NAKURU, MAASAI MARA BUDGET CAMPING SAFARI. 12 Days Tsavo East, Tsavo west, Amboseli, sweet waters, Samburu, Lake Nakuru, Maasai Mara budget camping safari. Kenya Budget Camping Safari tours, Kenya camping safari, Low Cost Kenya Budget Safari tours. A semi luxury Tented Camp out side the National Game Reserve and parks of Kenya "The Place Camp tents are built between natural trees and well-spaced giving you the comfort and privacy as you enjoy peace and tranquility. Kenya Budget Camping Safari, Kenya Luxury camp safari to African Game Trek Kenya Budget Camping Safaris is the true and generous spirit of Africa. Kenya Budget camping Safaris and Kenya Luxury camping safari will take you to the highest and lowest point of East Africa and the entire beautiful destination in between. Kenya Budget Camping Safari and Kenya Luxury camping safari ensure you enjoy optimum, care, safety, comfort and spaciousness. So if you want to discover Africa you know where to find Kenya Budget Camping Safaris and Kenya luxury camping safari for the Kenya Budget Camping safaris, Kenya luxury camps safari, Kenya Beach Holiday and safari and Kenya Budget camping Safari and Kenya Luxury camping Safari. 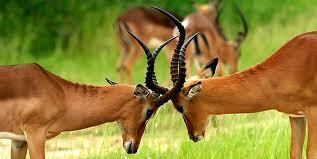 Kenya offers a wealth of Africa wildlife game safaris-rich parks and diversity of landscapes. Remarkably comfortable and unique hotels, Kenya luxury lodge Safaris, Kenya Budget Camping safari and Tented camps in Masai Mara and Samburu Camping Safaris African Holiday, Kenya Budget camping safaris and Kenya Luxury Lodge Safaris provide exceptional settings for viewing vast concentrations of big game and bird watching safaris in Kenya. Kenya is a culturally rich nation, with over 42 different tribal groups, Kenya Budget Camping Safari also offer Kenya cultural safaris, and excellent Kenya beach resorts Holidays & Safaris along the sun-drenched coral coast. budget camping safaris, Kenya Luxury camping safari, Kenya Beach Holiday, Tented Camps Bookings in masai mara, Kenya Budget camping Safaris. The bellow Kenya wildlife budget camping itineraries takes you to masai mara game reserve where the great wildebeest migration is a spectacle to behold for any would be visitor to Kenya mainly in July and August of each year, Amboseli national park famous for its big game and great scenic beauty whose entire landscape is dominated by Mt Kilimanjaro. 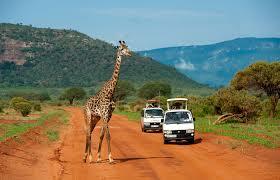 Tsavo West National Park. Visit the Chyulu Hills and the Mzima Springs, which are favorite haunts of both the hippo and crocodile that can be seen from an underwater observation chamber. 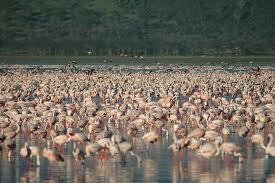 Lake Nakuru national park known as Pink Lake often referred so due to it’s Great masses of Flamingos. Lake Bogoria visit an area of bubbling hot springs and steaming geysers, and admire the pink swathes of flamingos on the soda lake. Samburu National Reserve has changing landscapes to the rugged-semi region, though harsh but having unique species like the unusual reticulated giraffe, grevy's Zebra, Beisa, oryx, gerenuk. The private ranch at Sweetwater's is the only sanctuary for rehabilitation in Kenya of these widely abused chimpanzees with two groups living in an environment as close to their natural habitat as possible. The site is also a dedicated black rhino breeding area. East Africa wildlife budget camping safaris, Kenya wildlife budget camping safaris, Kenya wildlife camping safari, Low Cost Kenya wildlife Budget Safaris. This is the authentic way of experiencing an African safari. Kenya budget camping caters for budget travelers, for the young and the adventurous. However, age is not a criterion, all that is needed is a sense of humor, a willingness to participate and a spirit of adventure. It provides authentic adventures in the African bush with nothing between you and the animals at night apart from a sheet of canvas and the embers of a dying fire. Enkerende Tented Camp is an intimate and exclusive camp, located on Ol Choro Oirowua, one of the most privileged areas in the Maasai Mara. Aruba Mara Campsite is located near Talek gate and borders the Maasai Mara. The camp overlooks the Talek River with hippos and crocodiles below. 8 Days Kenya wildlife safari, Samburu, Lake Nakuru, Maasai Mara and Amboseli wildlife budget camping safari. Lake Nakuru Besides the flamingos that the lake is famous for, there are approx 400 other species of birds visiting the lake. 6 days Samburu, Lake Nakuru, Masai Mara wildlife budget camping safari. 5 Days Lake Baringo, Bogoria, Lake Nakuru, Maasai Mara wildlife budget camping safari. Lake Naivasha is a birdwatchers dream comes true. Some areas of Lake Shore have recorded over 400 species. The acacia forests teem with Hoopoe, Woodpeckers, Rollers, Shrikes, Hawks, cuckoos and much more. 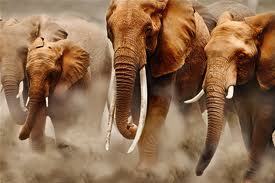 7 Days Samburu, Lakes Baringo, Bogoria, Nakuru and Masai Mara wildlife budget camping safari. 9 Days Samburu, Lake Nakuru, Lake Baringo, Bogoria, Masai Mara, Amboseli wildlife budget camping safari. 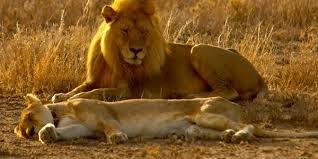 5 DAYS MAASAI MARA, LAKE NAKURU WILDLIFE BUDGET CAMPING SAFARI. Apart from the herons, water birds are represented by the fish eagles hovering over the fresh fish used as bait by local fishermen, cormorants, pelicans and even some flamingoes from the nearby salty Lake Bogoria. Tsavo West National Park has a variety of wildlife, such as black rhino, cape buffalo, elephant, leopard and masai lion. 12 Days Tsavo East, Tsavo west, Amboseli, sweet waters, Samburu, Lake Nakuru, Maasai Mara wildlife budget camping safari. Lake Manyara National Park, famous for its green scenery, varied bird life, tree-climbing lions, hippos and baboons.